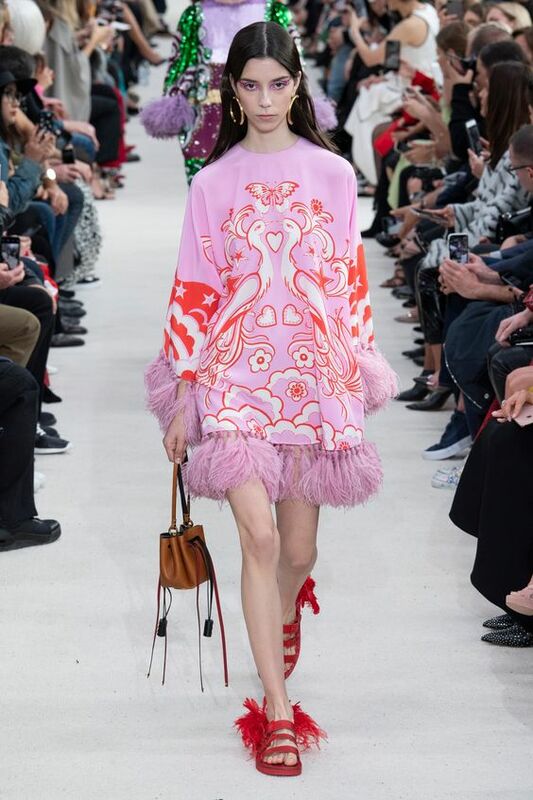 From mega size jewelry to sleek one-tone looks and from beach-inspired to the redefined SoCal style, the spring season of 2019 is coming in full force with the most adventurous, eccentric array of trends. Whether you’re willing to experiment with some oversize baroque pearl earrings or tempted to try out the newest California Dreamin’ style that’s rocking the runways at the moment, the upcoming season is sure to be spicy, fun and creative – both in the fashion and in the accessory arena. Monochrome’s been big for a while – and while the cold season paradoxically embraced the warmest shades of caramel browns (from head to toe), spring introduces lighter, softer alternatives in similar earthy tones. Meet beige, aka the new caramel for spring 2019. 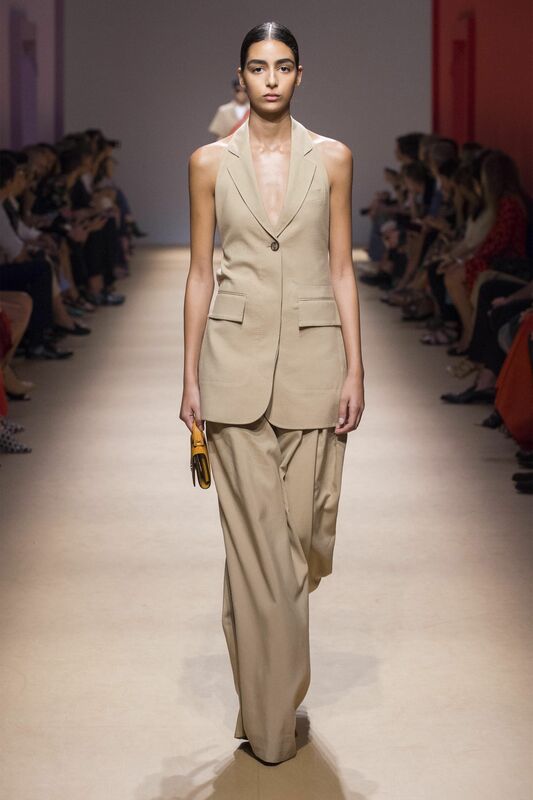 But a simple pair of cargo pants in taupe simply won’t cut it, as the upcoming season invites you to fully commit and embrace pale, earthy beige from top to bottom. The verdict is in: bigger is definitely better when it comes to your jewelry picks for the upcoming season. But more than that, you’re witnessing the return of massive gems and gemstones, starting with large pearls and crystals – all making an iridescent, eye-catching style statement. As a general rule, alternatives are preferred to classics, and that pertains not only to the shape and size of your gems, but also to the color – so if you’ve been dreaming of rocking pink or golden pearls, now’s the perfect time to do just that. Clean cuts, comfortable fabrics and highly versatile hues – it all sounds perfectly basic – except that the new hot utility trend is anything but. From boxy cuts that somehow channel a retro military look to an overload of khaki, one of this spring’s hottest trends perfectly combines a fashion forward vibe with functionality. If you love a neutral outfit that works just like a blank canvas you can then accessorize, ornate and decorate, then this trend should definitely be on your radar. The catwalks of the world have spoken: feathers are still going strong in 2019. They had a major fashion moment last year, and they’re definitely back for more in the upcoming warmer seasons. From feather-adorned footwear to feather trims, feather sleeves and feather-everything, this trend knows no bounds. If you’re not yet fully sure that feathers are something you want to experiment with, start off slowly with a pair of feathery earrings or a dainty lightweight trim instead of committing to the bird-inspired look all at once. Call it net, call it fishnet or mesh, one thing’s for sure: spring 2019 is full of seashore details, covering all areas, from shoes and handbags to jewelry, accessories and clothing. We’re currently looking at chic farmer’s market net bags, frocks and heels, all perfectly merging hosiery-like mesh with leather and other structured fabrics. It’s decided: ropes, knots and netting are some of the hottest trends of spring 2019 – perfect for a weekend getaway or walks down by the beach. Your idea of Californian style is totally about to change. Forget the fedoras and the short denims paired with relaxed white tees, as the upcoming season is all about very Cali wetsuits and tie-dye. Surfing-inspired collections are currently popping everywhere on the catwalks, and hippie-enthused tie-dye is not far behind either. Bright and bold are taking their place in the spotlight, with a hint of resort vibes and tropical accents. Forget minimalism, as the new season is anything but dainty and discreet when it comes to jewelry pieces. Just like earrings, chokers and necklaces in general are experiencing a maximalist makeover. Large chains, industrial vibes, ornate pieces or futuristic-inspired bling are all having a major fashion moment and it’s not a shy one by any means. 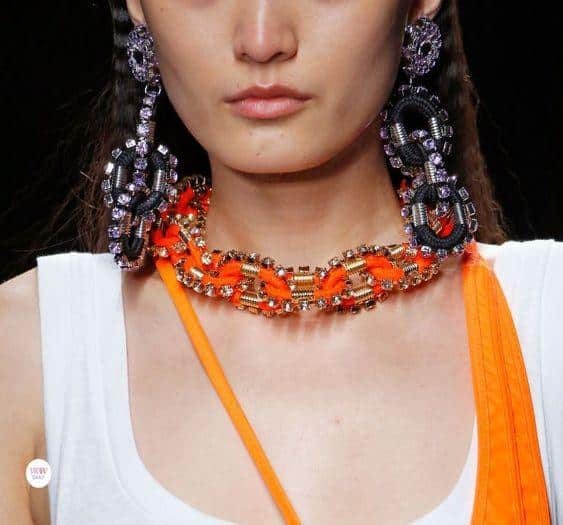 Strong, confident jewelry pieces that leave a mark, have transformative powers and stand out both through color and size are on the forecast for the spring 2019 season.